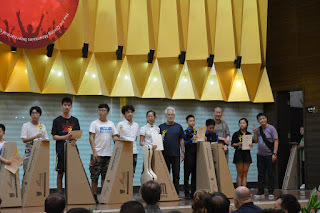 A few days ago I got back from a whirlwind trip to China. I was gone just a little over a week there, just enough time to suffer back-to-back jet lag — first from going, then from coming back. As always, this was an adventure! 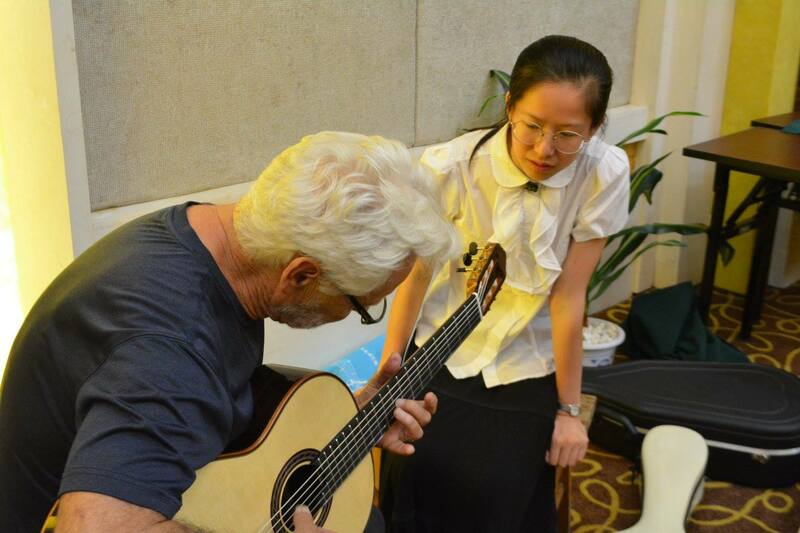 China is a hotbed of growth in the classical guitar world. I’ve been involved there for seventeen years, hard to believe, and I’ve seen so much change. My focus on this trip was multi layered; I’m in the process of introducing my Performance Model guitars into distribution in the Chinese guitar market. That’s just good business. Also I am very interested in seeing the culture of the guitar growing around the world, with China being very fertile ground for this focus. This means getting young people (and their parents) excited about the value of music in their lives. Of course we are also cultivating guitar culture here in USA, and anywhere possible. 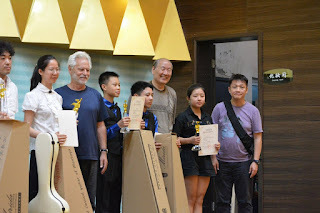 Also on this trip I was able to connect with Los Angeles Guitar Quartet along their first multi-region tour of China. I recently built a cool 7 string guitar for John Dearman and it was going through it’s shake down, its first on-the-road tour, both a great opportunity to listen to this guitar in concert, and a little nervous test of a new guitar on the road. LAGQ is so iconic and influential everywhere in the world that the enthusiasm around them can’t help but step up the excitement. 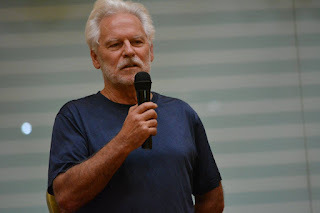 And, since I have been involved in international business for some time now, I was especially aware of being an active and conscious American in business, cultural and political worlds outside of our American borders. This was a short trip, but for me poignant. 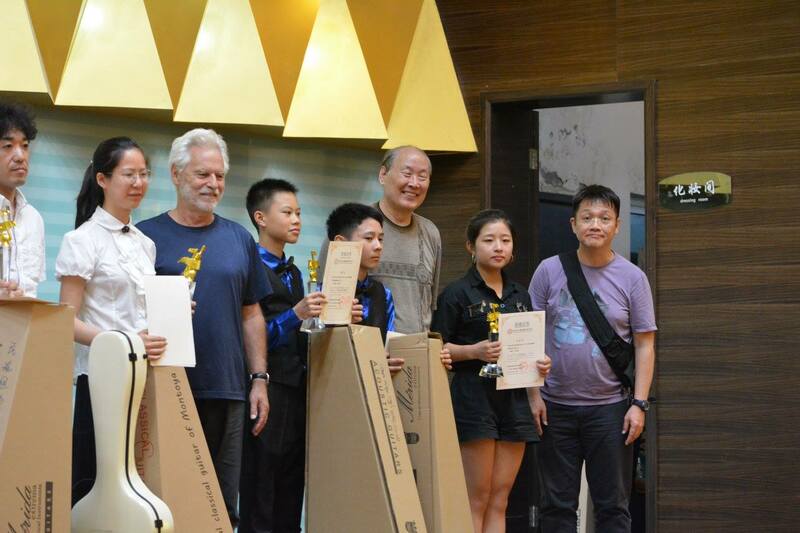 I am proud of cultivating young people being involved with the guitar, especially because guitar has has nurtured my own life in so many ways since I was a little kid. I am proud of how wonderfully influential all styles of guitar have affected people’s listening and playing habits and musical lives. I am proud of the music, art, business and the relationships that have been forged worldwide during my career. 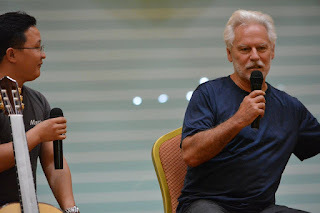 I am proud to know the LAGQ and their enduring influence on music and audiences, their enthusiasm for not just the sounds of the guitar, but the range of beauty, history, style and virtuosity that have improved the way we hear music. I’m also very proud of my partners in guitar making, and international endeavors, working our passions and through music, working to make the world a better place. China is a different culture, not always easy, but very human. I’m deeply grateful to have shared such a range of culture and personal relationships. I’ve worked there for a long time and I guess I will for more time to come. There is one long moment that I feel compelled to share — my airport exit from China through Guangzhou airport. Guangzhou is a worldwide hub of international business, manufacturing and a crossroads for things global. I’m lucky, my factory base is just about 30 minutes from the airport. I have been through the GZ airport scores of times, maybe hundreds of times. In each of those long switchback check-in lines you see the recurring faces of people, strangers, as the rope lines move you toward customs or security check points. It’s always interesting to see the families, the individuals, hear the languages, everyone in their own space, moving toward the airplanes and their next connections, next efforts, appointments, challenges, loves. Leaving Guangzhou heading for San Francisco and home I’m guessing there were around 1500 people in line, in groups or alone like me, enduring the process, but everyone in their own head, looking toward the next destination, comfort or ambition. There were Asian, African, Italian, Spanish, Latin American, Middle Eastern, South Asian, the whole world was there. Wives, husbands, kids, grandkids, road warriors, entrepreneurs. And me, a white hair post-middle age American man, shuffling through the line, the only one, anonymous and a bit tired. I definitely didn’t attract any attention, I was the only one. Really. Literally. The only one. I didn’t feel threatened, I simply wasn’t noticed. Everyone were in their own worlds. Mostly younger. I was fine, but I couldn’t help but feel that the world, the bigger world, the global world is moving on. And I was impressed with these people in line, strangers to me, humans, the species, each of these persons on a mission to make something better for themselves, for their families, for their countries, I don’t really know anything about what they’re all up to, but I myself have been pounding this pavement for quite a while, so I can relate. But I felt a bit sad and lonely for my own “group”, who seems to be becoming more isolated, less willing to share with the globe, abdicating leadership, backward thinking. I don’t want to be political. Personally, I really just love my family, my home, my friends and my work. I’m deeply grateful for all of the experience and quality of life that I have enjoyed. I guess I have a simple protest to our unnerving recent culture bursts of fear, isolation, of keeping “us" in, and ‘them’” out. I just don’t feel that way. There, in that airport line I sensed the roil of humanity, the real churning of the evolution of society. I’m a classic white guy born at the right place at the right time. But I don’t buy it. We are all in this together, and all benefiting by stuff from everywhere. I have to protest this small minded thinking. I just came back from China, but that’s not the point.The point is about the whole world, our neighbors and our strangers, about intelligence and communication, as hard as it can be. It’s about understanding and caring about one another. We are all in this together.